a few rolls of tri-x and a cheap 21mm finder last week. first and last purchase for some time now. My latest purchase was a Hoya R72 filter to use on my M8, for some infrared fun. A few weeks ago, I went to Newtonville Camera for a filter, and walked out with a Zeiss 2,8/21 Biogon, and a 25/28mm Zeiss viewfinder, also for the M8. I still don't know how that happened. But I'm not complaining. And a while before that, the Haoda Macro Reversing ring for Canon, which has turned the stock 18-55mm Canon lens into something dramatic and fun. The new Nikon D7000 DSLR... Well, as soon as Henrys gets a shipment. A split Neutral Density filter. Been on a big spree lately, I don't know why. The Retina IIa I've been hunting for a while, but got a Voigtlander Vito B and sort of forgot about it. My Vito B is one of my favourite walking around cameras. It fits in the palm of my hand so nice! I have a IIc, and although its gorgeous to look at, I really don't use it much. As for recent buying, I have discovered how wonderful Canon P's are. Acquired two of them over the past few months. I think they are definitely destined to be my main users. Actually, after buying the P's, I may evolve into a net seller rather than a buyer. They are so nice it makes me wonder why I use anything else. I bought a Leica M9. I think I can't come up with any excuses to get any more gear now. 80mm 2.8, plus uv/ir filter. 13. Out to Loew's with my wife tonight, and she bought a bathroom faucet. 14. One quart of Baer white primer. 15. Some select pine for the cabinet. Not much photography this month--we are having our bathroom gutted and redone, and I got to build an in-wall cabinet with shelves. But, nobody said we could report only camera gear! Nikon D7000 + 28-300 lens from Adorama (back ordered). Picking up tomorrow at lunch a Yashica FR-II with 50mm ML 1.9 I found on Craigslist to mate up with the Contax 137 MD I got on the classifieds here from Greyscale. Pending pickup is a Yashica 50mm ML 1.4 also found on Craigslist if the guy ever tells me when to meeti him to pick it up. Lately I seem to be overrun with good Yashica stuff to buy. This will go together with a mint Electro 35 GS I literally picked out of a pawn shop dumpster and sent to Mark Hama for a fix up (spotless lens and now works great! ), and my 124 Mat-G which is enroute to Mark fo a full tuneup. This assemblage should use up everything but enough $ to get an order off to Freestyle for B&W fodder and chemicals for the bunch. A chrome Elmar-M 2.8/50mm, yesterday. A Gordy wrist strap arrived last week. About 6 weeks ago a MS Optical 35/3.5 Perar. Only other purchase this year has been a Panasonic GF1, my first dabble with digital. The last big purchases have been a big box of paper, a couple of hundred feet of Tri-X (dressed as Arista Premium), an original Olympus Mju in mint condition for $10, a couple of Hasselblad filters, and the big prize - a Pentax DA15/4 lens, which came about because 1. I've really liked the pics in the 21 Super Angulon thread and this is the closest I can come to that FoV, and 2. the rise in the Aussie dollar against the greenback (to $1.01!) coincided with a drop in B&H's price and a relative making a trip from the US to Oz. That lot should keep me going until the X-100 arrives! Mamaya to Canon EOS lens mount converter. ChrisN, congrats on the new Pentax 4/15mm DA, as you've seen it's a very fine performer! I just had a flurry of activity in the RFF Classifieds, swapping a Nikon S3-2000 + CV28SC + $$$ for an M9, arranging a couple of filters from Cindy, and a 2.8/35mm C-Biogon ZM from Sug. Now I need to be "done" for a while! And now I get to buy some 126 film for it! Did I read that right? 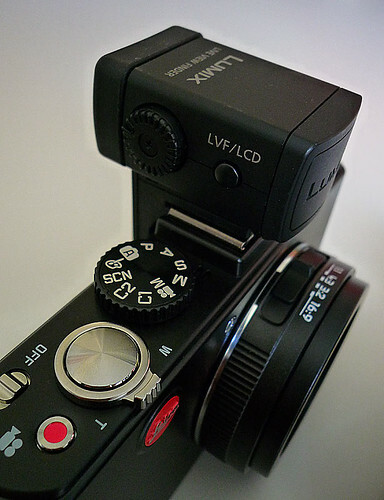 You swapped a perfectly gorgeous Nikon S3 2000 for a Leica M9? Wow! Some of these transactions are pretty impressive. My only purchase was last night - a couple of Mjus, one a zoom 115 and the other a zoom 130, for $20 as well as an A16 flash for my XA for $24. Today I just bought an orange filter, 49 mm, to use on my x-700 minolta. a Pentax DA15/4 lens, which came about because 1. I've really liked the pics in the 21 Super Angulon thread and this is the closest I can come to that FoV, and 2. the rise in the Aussie dollar against the greenback (to $1.01!) coincided with a drop in B&H's price and a relative making a trip from the US to Oz. That lot should keep me going until the X-100 arrives! Chris, please post your impressions in the SLR forum. That'll be my next lens, I think. A Helios-40 85mm F1.5 and a PEN FT and a 38mm f1.8. Last edited by barnwulf : 11-17-2010 at 20:21. True! While the Nikon is indeed gorgeous and incredibly well made with great glass, I found it awkward to use. just snagged a Tewe viewfinder on eBay. now I'm waiting for both a IIIf and the finder. Leica Elmarit-M 90mm f2.8, mainly because I sold this lens twice for some dumb reason, and always regretted it. On top of that, they are hard to find used these days, since they are such great little 90s, I just couldn't resist it when I saw one fresh on the shelves at my local shop. Sold the Leica. Sold the Hassey. Bought the Rollei. Bought the Rollei. Bought the Leica. Bought the Speed Graphic. Bought the 8x10. Living in a cardboard box. I bought too much stuff this week, four Canon 7 cameras, a beautiful Canon F1n, a black Olympus 35 SP, and several Canon FD and L mount lenses. G2 with 21 2.8 and excited to try it out this weekend. An additional film back for my 6008, got it yesterday.